When you want to motivate your associates to action, you need a speaker who can deliver on his promise. You are tasked with making the event a success; don’t leave things to chance. 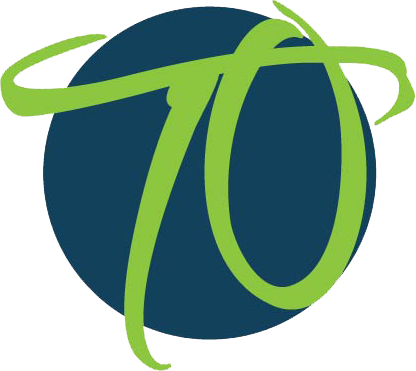 For over 35 years, meeting planners, executives, non-profit organizations, and professional associations have called on Tim to deliver a unique message that is timely and impactful; a message that inspires creativity and increases productivity. Over the years, Tim has earned a reputation for energizing audiences with his unique delivery. When seminar participants are at a crossroad, Tim guides them down a path with tried and true solutions. If your associates face workplace challenges, Tim has a proven roadmap to lead them to success. Tim comes prepared. He and his team begin their assessment process to determine the personalized message framework for your audience. The team gathers the necessary information to meet company objectives. That might include employee and executive interviews, and meeting with conference planners to assure the event’s success. We instill a sense of urgency and take advantage of emerging trends as well as tried-and-true principles to keep your audience informed and engaged. Tim provides insights and strategies that allow participants to move forward with confidence. His track record makes him credible. Your audience will feel his authenticity. Tim promises the right message, at the right time, for the right audience. Tim delivers! And he delivers for you. 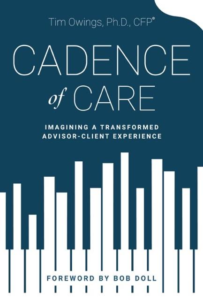 A clarion call to lead with purpose, Cadence of Care offers a wise and practical guide to deepening and enriching client relationships. Tim Owings understands what all the great ones know. People who trust you are far more important than all the product knowledge in the world. The concepts Tim Owings shares in his book provide a comprehensive blueprint to integrate into practice.